Green is great. We love green. On trees, plants, my sweet little indoor succulent garden by the window. Not so much in our hair. Green tones are usually seen in the damaged ends of darker colours such as brunette shades which have been coloured with cooler, Ash tones. Blondes who swim or shower (so, all blondes) or who use cool colours or toners are also in the green hair danger zone. Green tones are seen where there is a lack of red or warmth in the hair. If you don’t like seeing unwanted warmth in your hair then you can select cool colours or toners to reduce the appearance of reddish tones. A lack of red or warmth in your hair colour can allow green tones to appear, and this is often the root cause of visible green tones. Here’s a few hair situations which can lead to visible green. Many natural blondes use toners to achieve the exact tone they are looking for in their colour. The right toner can be a beautiful thing that finishes and sets your colour to the exact tone that you are looking to achieve. They can also lock in shine and help blend regrowth or transition in greys. All good things often have a downside and toners can help or hinder your colour goals. Unfortunately, using a cool based colour and a cool toner can result in a subtle, or not so subtle greenish colour outcome. Ash tones are very popular now, but aiming for ash and getting green happens. To stop it happening, think of the colour wheel theory and remember that red and green are opposites and they neutralise each other, so you need to introduce some warmth into your colour or toner selections to minimise the green. 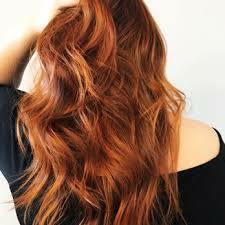 Select a warm based colour or toner to add the red tones which will counter-act and eliminate green tones. If you are blonde and you enjoy swimming, or if you are a person who likes a little cleanliness and you take showers or baths, then you are in the danger zone for swimmers hair. Pools, spas, showers or other water sources often have elements within the water which can react with coloured hair, which can ultimately affect your colour and result in a greenish tinge in your blonde hair. We’re happy to report that there is a couple of cheap and cheerful solutions (our favourite kind) which can sort this out for you in the comfort of your home. Baking soda: Mix some baking soda with water to make a paste and then rub that past into the affected areas of your hair, where the unwanted green tones are. 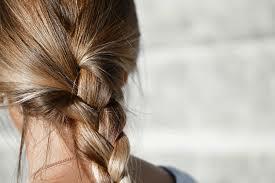 Let it absorb for a few minutes and then rinse and wash out as normal with shampoo and conditioner. Lemon juice. Pick and squeeze, or squirt it out of a bottle, and apply to the green zones in your hair. Let it soak in for five minutes before rinsing and washing with shampoo and conditioner as usual. If you love your Ashy brunette tones, and you have very porous hair, you too may have experienced, or be at risk of the dreaded green ends. The ends of our hair are typically more porous because they have been exposed (usually) to repeated colouring or straightening, lightening processes. Even heated styling tools inflict enough damage to increase the porosity of our hair. 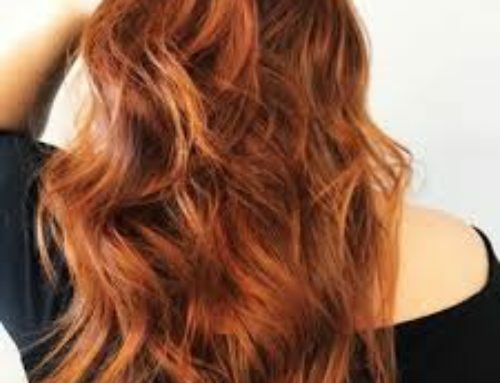 Hair which is porous absorbs colour faster. If you are colouring with Ash colours, the over-absorption of colour in porous hair could cause greenish colour results. This is a hard one to fix because the problem usually is in damaged, porous ends or lengths of your hair. You can’t colour your way out of very damaged hair and you won’t get correct colour results on very damaged hair. Your best option is usually to trim the damaged ends, and to avoid exposing your hair to unnecessary processes as much as possible in the future. You could temporarily, and possibly, fix green ends by colouring the ends only with a red based colour such an auburn colour. The red tones within this colour could counter-act and neutralise the visible green. Colour applications just to your hair ends can be fiddly and you might want to consider a decent trim instead. Remember – prevention is better than cure! If you have visible green tones in your hair, select colour options which are NOT Ash or neutral. You need to introduce some warmth into your colour palette to counter-act and neutralise the unwanted green, so look to warm based colours to colour your way to a balanced colour result. Colours such as auburn, mahogany or copper based colours will add the red based colours which will work against the green to neutralise it.